Employee wellness programs are sponsored by companies to help improve the health of their workers, reduce sick days, increase productivity, and potentially lower healthcare costs. We know that vitamin D levels in the range 40-60 ng/ml (100-150 nmol/L) may prevent disease, lower risk of flu and colds, and lower pain. 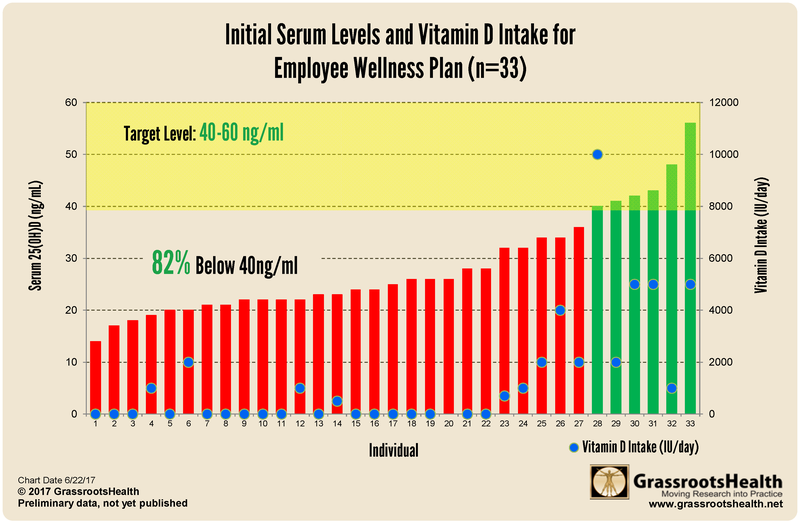 So, it makes sense that an employee wellness program should test and provide information for their employees about vitamin D.
In both of these cases, approximately 80% of their employees were below the recommended range. 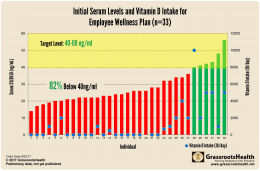 What does a vitamin D wellness program look like? The employer provides free vitamin D testing and education – with the goal of moving their vitamin D levels into the recommended range. GrassrootsHealth can provide de-identified charts, like those above, and employers can track sick days, productivity, and health care costs. 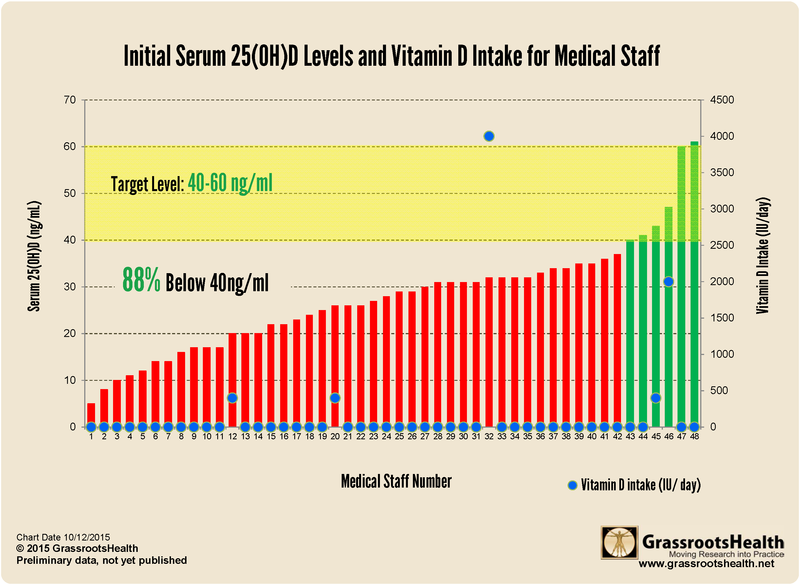 Since every employee becomes part of D*action, GrassrootsHealth can also do analysis on vitamin D levels and health conditions within this sub-population. Any group or business can participate in such a program. Contact us today to learn more and get started.